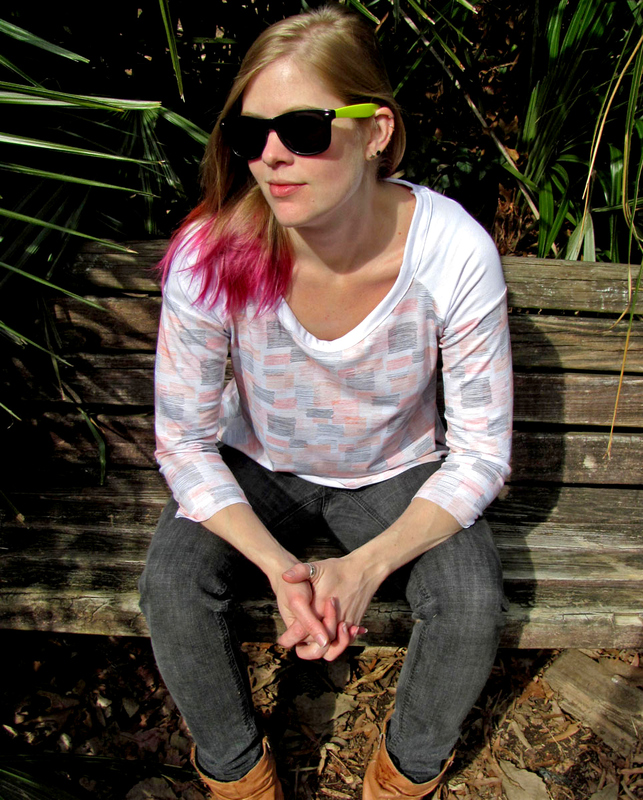 Spoonflower team member and independent designer Jamie Powell teaches us how to sew up a soft and stretchy jersey raglan tee using her own pattern and shares tips and techniques for sewing with our brand new Modern Jersey. 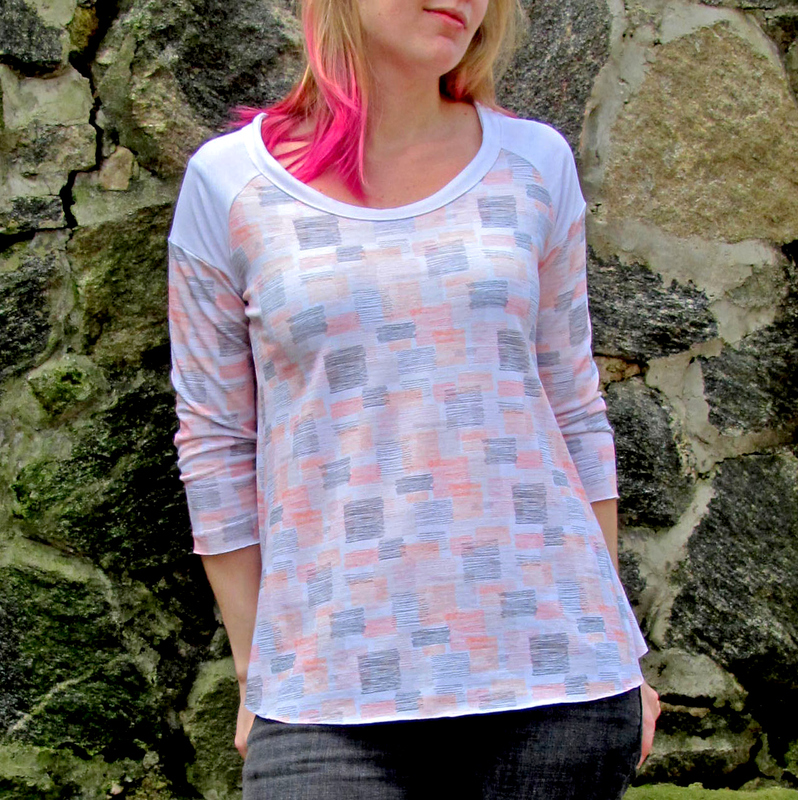 This great basic baseball style shirt is one of my favorite patterns, and I recently made myself one using the new Modern Jersey fabric from Spoonflower. 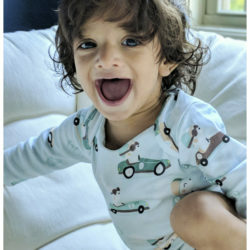 I’m in love! This lightweight, super soft jersey fabric has just a touch of spandex stretch, making it perfect for tops, dresses, skirts… the list goes on. 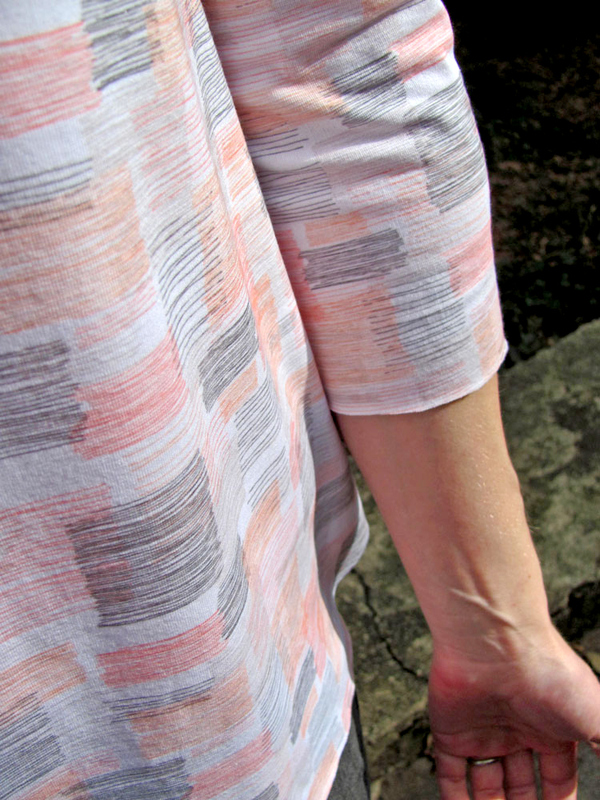 You can find the pattern here with printed instructions, but I'm going to share some extra tips for sewing this pattern with Modern Jersey. 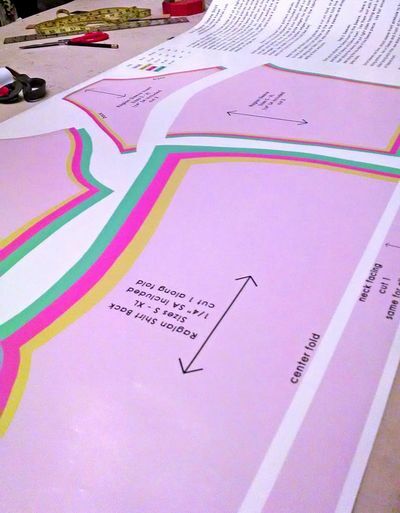 Cut out your pattern in your desired size, then cut out your fabric with contrasting fabric for the shoulder inserts. You can mix up your fabric however you’d like – or combine the sleeve inserts and sleeves into one piece. 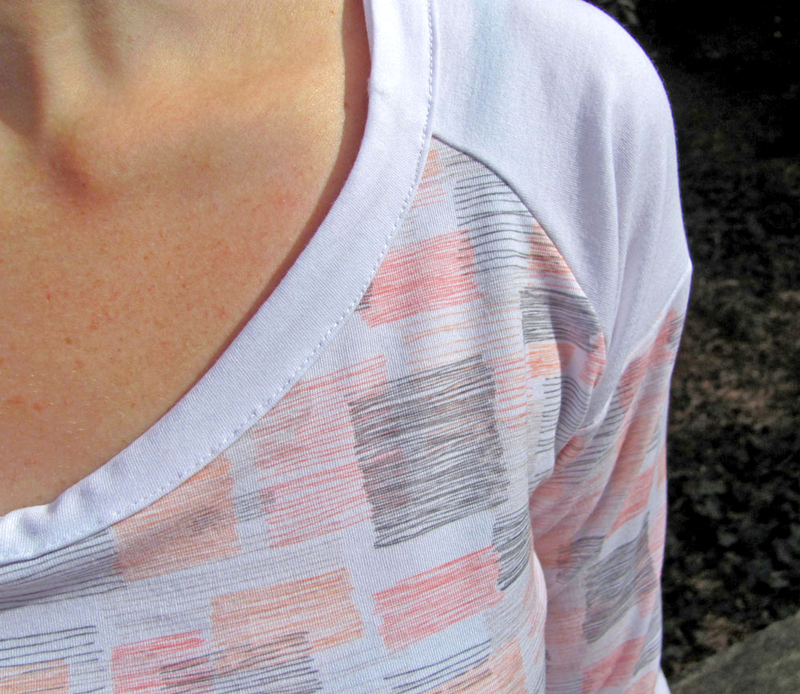 For this raglan, I used Square Lines – White Coral Grey fabric by Verenaerin from the Spoonflower marketplace for the front, back, and sleeves, then plain white jersey for the sleeve inserts and neckline facing. Use a serger or sewing machine to first attach the sleeve inserts to sleeves. Then attach the sleeves to the front of the shirt along the armhole, and sew just one side of the back of the shirt to the sleeve along the armhole. Before sewing the last side of the back to the other sleeve along the armhole, attach your neck facing along the top of the shirt. Press it under about ¼ to ½ inch (depending on how wide you want your neck facing to be), and then topstitch. Now join the other side of the back to the sleeve along the armhole, then sew all the way down the sides from cuff to bottom hem, lining up underarm seams. Finish your bottom hems and cuffs by turning under and topstitching, or just leave the raw edges neatly trimmed; the jersey fabric will roll a bit at the edges but won't fray. If you're not used to sewing with stretchy knit fabrics, here are a few tips that might save you some time! Tip #1 The serger is your friend. 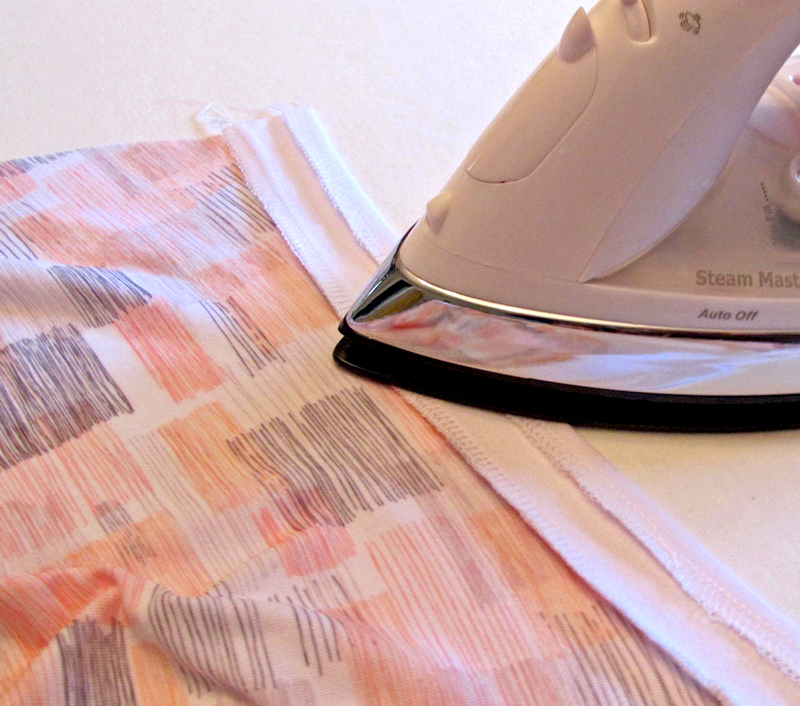 The best way to sew this fabric is to use a 3 or 4 thread serger machine. The overlock stitch both finishes your seam edge and will allow the fabric to stretch with you when you wear it. 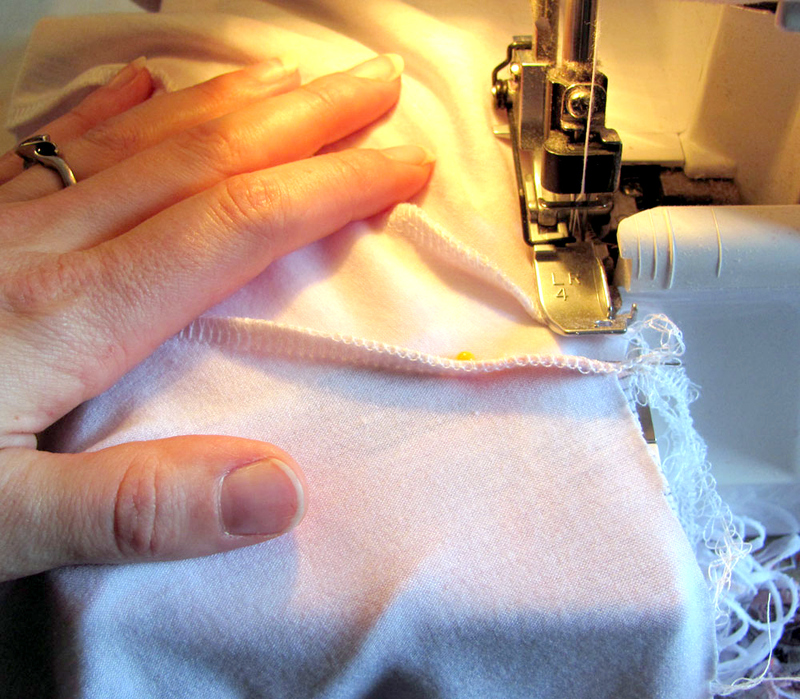 If you don't have a serger, you can use a zig-zag stitch on a regular machine to achieve a similar stretchy seam. Some sewing machines come with an overlock attachment that creates a stitch similar to the serger – I’ve never used one of these myself, but the feedback I’ve heard is that they are just not as good as using an actual serger. Tip #2 Use the right needle. This soft, stretchy jersey fabric needs to be sewn with a sharp needle to prevent picks and pulls. There are a variety of needles available for jersey and stretch fabrics: sharps, ball points, microtex, etc. For this spandex blend fabric, I like to use the Schmetz brand Microtex sharps that are made for lighter weight stretch fabrics. Tip #3 Topstitching and Tension Settings. I like to finish this raglan sleeve top with a neckline facing as well as folded under hems and cuffs. This means switching from the serger to the regular sewing machine for topstitching. Sewing with any stretch fabric on a regular machine can take some getting used to. If your stitches are too tight and short, you can easily end up with a wavy or lumpy seam. I like to put my machine on the longest straight stitch setting, and typically need to lower the top tension by one notch. Definitely start with a test scrap to get your sewing machine tension and stitch length right before you start sewing your shirt. Tip #4 Don't Stretch Too Much. It is important not to stretch the fabric as you topstitch, as your finished edges will end up looking too big for the rest of the shirt – particularly around the neckline. If you see that the fabric is getting bunched up in front of your presser foot, you can lift the foot while your needle is down to redistribute the fabric. I've even held the presser foot up just a hair to lessen the pressure and prevent bunching, especially along curved seams. 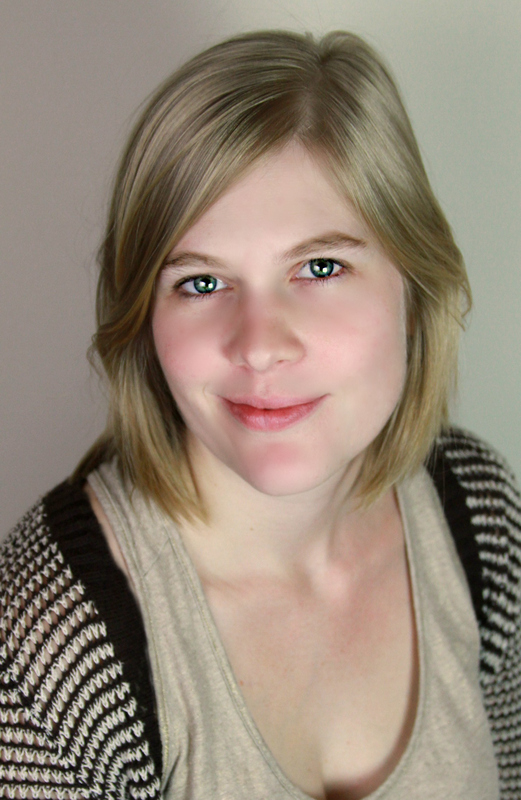 Tip #5 Skip the topstitching altogether! Another great thing about this jersey fabric is that it doesn't fray – if you leave the edges unfinished, they will just roll a bit, but won't get all stringy like woven fabrics do. So, if the topstitching is making you pull your hair out, just leave your hems unfinished and neatly trimmed. Alternately, you can serge along the edges of your hems, neckline, and cuffs for a different look, just leave off the next facing and skip the ironing under your hemline and cuffs steps. 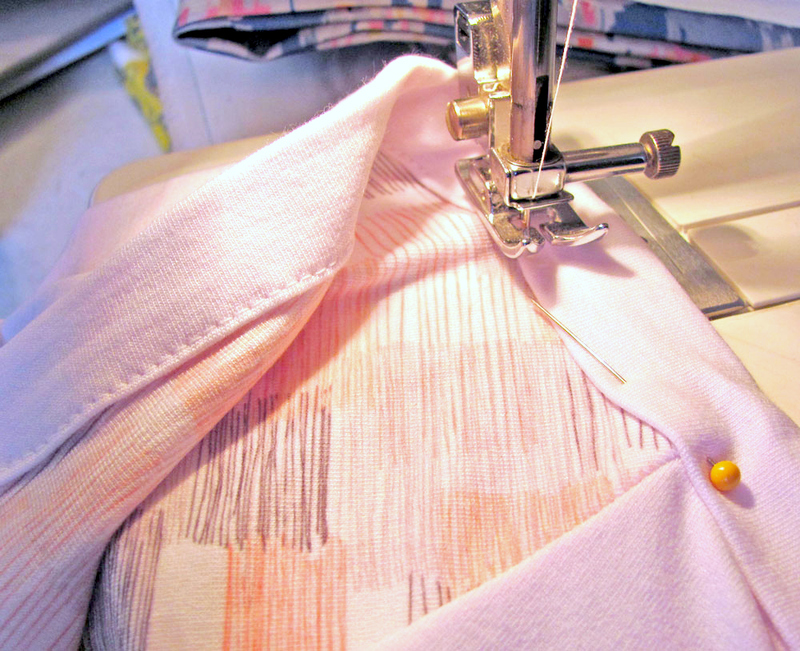 Try using contrasting thread for serged edges that add to the overall design! 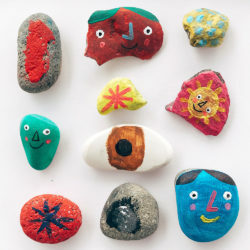 This pattern is so versatile, you can really mix it up and make it your own. Want short sleeves? Just use the sleeve inserts and not the sleeve pieces of the pattern. Try different combinations of contrasting fabric for the neckline or sleeves. You can adjust the sleeve length, shirt length, and depth of the neckline scoop very easily. Sewing this pattern with modern jersey will give you a shirt that looks fancy but feels like pajamas! Love the pattern. Is the pattern available? 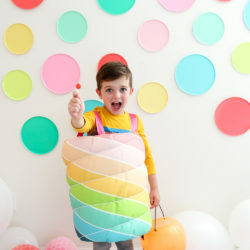 I clicked on the link for the pattern, but it’s on a fabric/giftwrap preview page. How are we supposed to print it accurately? Is there something I’m missing? I think you need to purchase the pattern (in the form of gift wrap) for $15.